We have 5, 16-foot Old Town Canoes with 2 seats and paddles that can be taken to the Sandy River Reservoir! Participants will meet at The Adventure Park / Sandy River Retreat in order to fill out waivers and be fitted with PFD's. After that, participants will follow a staff person to the lake and park their car in the lake parking lot! 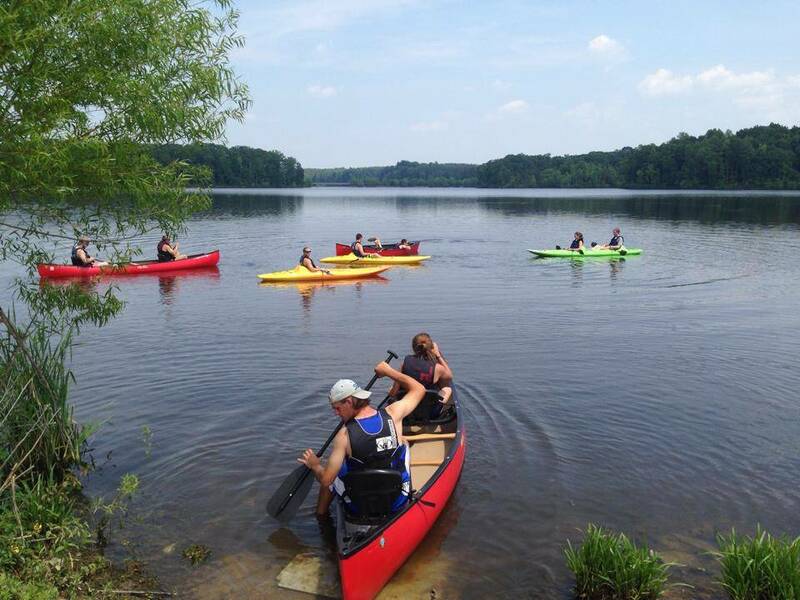 Canoe rental trips are 3 hours in length with 9:30 am or 1:30 pm start times. At least 24 hours notice is needed to book a canoe trip. We also have one solo boat which is available upon request. All participants must wear closed-toed shoes. Children, aged 7 and over, are allowed to be in the boat with an adult, and must be 14 to paddle a solo boat. All participants must know how to swim. Swimming is not allowed at the reservoir.